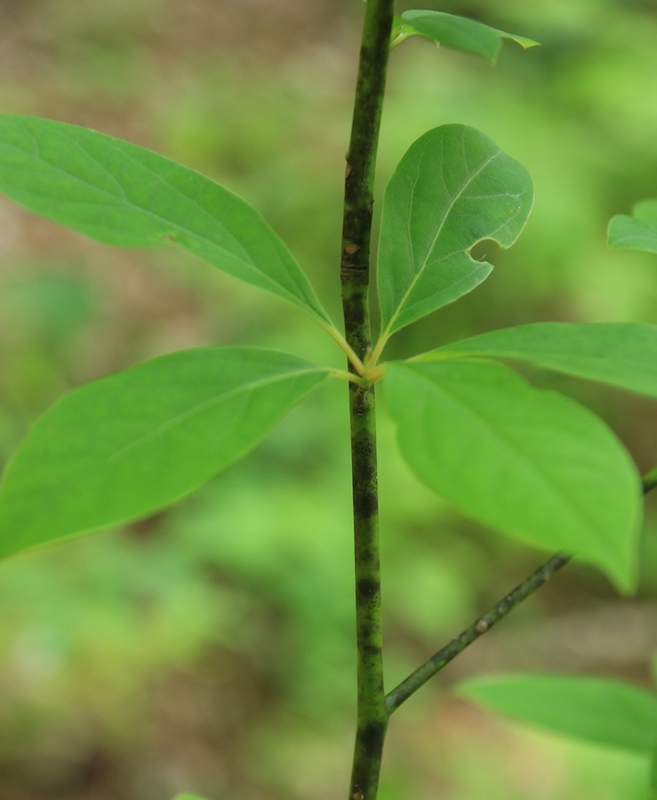 Kuromoji is common in the mountains of Japan, and of course it grows in our Afan woods. The name comes from the black spots on the greenish branches, which looked like ‘moji’ or letters. Kuromoji grows from two to four metres high, so one would call it a ‘bush’ rather than a ‘tree’. There are several species growing throughout East Asia and also a species that grows in North America. However, Kuromoji is undoubtedly most famous in Japan, where it is traditionally used in making toothpicks. 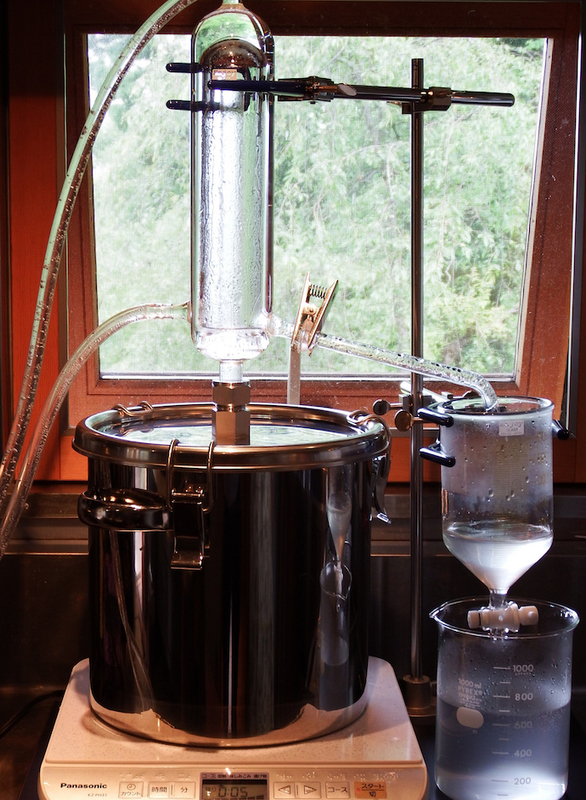 More recently, it is one of the most favored plants for extracting aromatic essential oils of exceptionally high quality. I personal use kuromoji oil in my name card wallet. I have a small lacquered holder with a piece of strong absorbent paper inside. I put a couple of drops of kuromoji oil on the paper, slip it into the little folder, and keep it with my name cards, which all give all a charming fragrance when taken out of the wallet and present. The fragrance of just two drops of kuromoji oil will last for about a month. 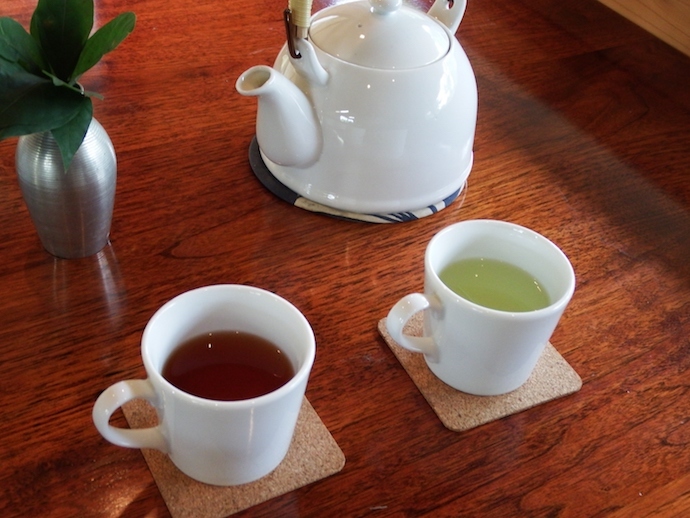 Kuromoji is also used to make a delicate tea, which is very pleasant to the taste and cleans the palate, very good to sip after oily or strongly spiced food. 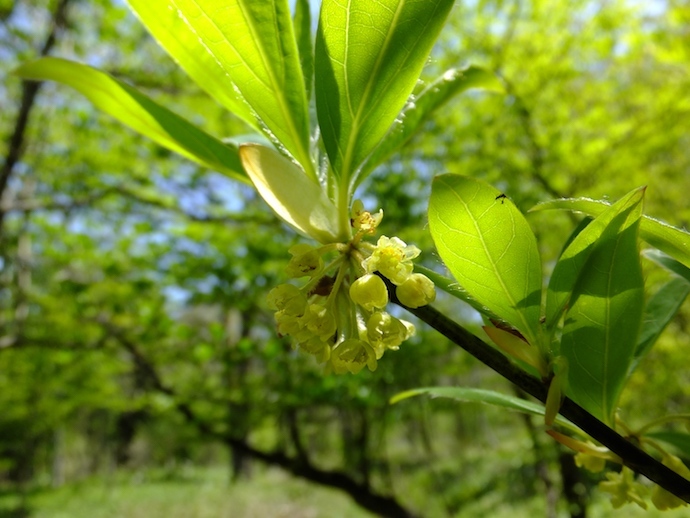 The kuromoji bush is a pleasant, freshly green bush, which enhances our woods quietly but wonderfully.